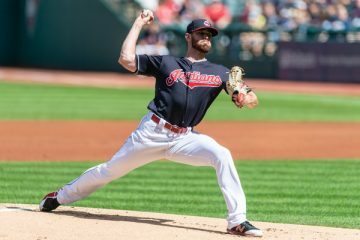 Over the past week at The Dynasty Guru, we examined infield, outfield, and pitching prospects with increasing and decreasing fantasy value. 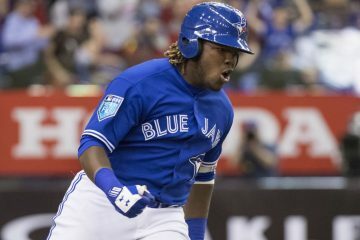 As the culmination of the monthly review and update, we shall revisit the 2018 Top 200 Fantasy Prospects, published in March. Fantasy value is ever-changing. Like the stock market, there are stable assets and volatile, high-risk / high-reward assets. When it comes to prospects, value swings are common and often drastic, and the astute fantasy owner must quickly adapt. Although it is only one month into the season, there is already plenty of movement in the Top 200. With over 130 at-bats in the majors, the following prospects exceeded MLB rookie limits. Based on projected playing time, the following prospects likely will exceed MLB rookie limits by June. Numerous prospects were in consideration for inclusion in the top 200, including each of the following prospects. The following prospects have entered the top 150 after being unranked in the initial top 200. Other than the graduates (above), the following prospects in the top 175 fell completely out of the top 200 due to under-performance or injury. Nice list. Juan Soto will be a top 5 prospect by seasons end if he keeps this up! How do you see Yordan Alvarez fitting on an already stacked Houston team? Especially when you consider Tucker will be up too. Any reason why you have Luis Urias so low? He probably has one of the best bats in the minors and profiles very similarly to Ozzie Albies…..with similar power (Albies is not a 40 homerun hitter) and a better average/on base. Yordan Alvarez is surprisingly athletic given his size (already listed at 6’5″ 225 at just 20 years old) and can competently play left field. The Astros actually have a lot of current questions in both their OF and at 1B (where Alvarez can also play and likely will be his position long-term). Other than Springer, Reddick is only signed through 2020 and Marisnick/Fisher inspire no confidence. However, Tucker likely will occupy one spot and an OF of Springer, Tucker, and Alvarez does not provide ideal range. Instead, I anticipate Alvarez entering the picture at 1B as soon as 2019. Gurriel is a free agent after 2020 (like Reddick) and is already 34, while Gattis and Marwin Gonzalez are free agents after this year. It makes sense to push Gurriel to DH to keep him fresh. In this updated top 200, I moved Urias up 8 spots from 60 to 52. Thus far, he is performing well in Triple-A. Even though his hit tool is excellent (my fantasy grade is 65), his power is extremely limited (40). Players like Urias are finding a lot of success lately in the majors getting to far more power than anyone imagined or predicted. It is far too optimistic to believe he will run into 15+ home run power for the first time ever in the majors. It could happen, but I would not bet on it. 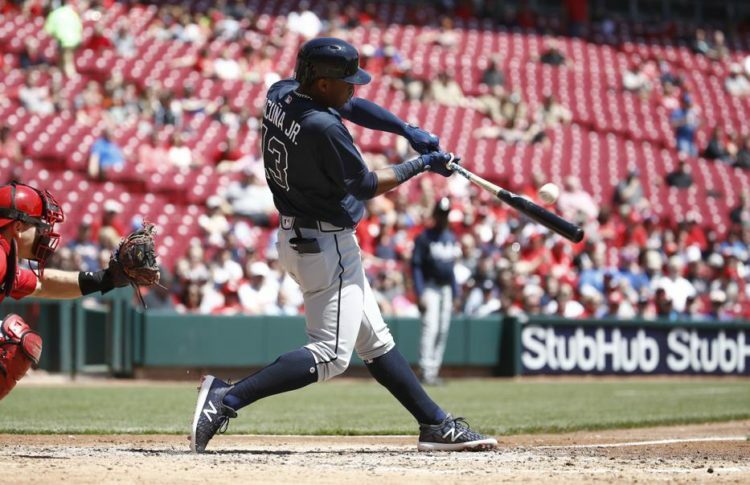 Further, I do not believe Albies is a good comparison for anyone (I believe Kiley McDaniel said he is incredibly unique). With that said, an elite hit tool, modest power, and no speed does not make for a great fantasy player, and his ranking reflects that. In non-fantasy rankings, I would expect Urias to rank quite highly. After getting hit by a comebacker in his season debut on Monday, Nate Pearson suffered a non-displaced fracture of the ulna bone in his pitching arm and will be re-evaluated in four to six weeks. This injury is not quite as concerning as the dreaded “forearm soreness” suffered by McKenzie and Hansen, but it will cause Pearson to fall a bit. In further injury news, Mauricio Dubon tore his ACL on Saturday and is out for the year. Obviously, this injury drops Dubon from the Top 200. Cal Mitchell, OF, Pittsburgh Pirates replaces Dubon in the Top 200 at #200. All other prospects behind Dubon move up 1 spot. I’m a huge fan of Brent Honeywell, but am scratching my head as to how he’s rising while recovering from surgery that will sideline him all year. His current ranking represents a self-correction. I was too reactionary to his injury and dropped him farther than I should have. No Freddy Peralta in the top 200? Has had some great outings even in the PCL and has had great K numbers. Is that an oversight or is it because you don’t see him as a starter? Still seems he should be ranked over other guys. I like Freddy Peralta and he has been strong in an extremely difficult pitching environment (Triple-A Colorado Springs). My issue with him is his poor command and control (regularly 11+% walk percentage), wild delivery, and small size (5’11”). I do not buy him as a starter, though he could follow Hader in the multi-inning relief role. Franmil Reyes is a big (6’5″ and 240 pounds) and powerful corner outfielder for the Padres. Last year, he led Double-A Texas League in home runs (25), while hitting .258/.322/.464 (I was actually able to witness one of those home runs live last year). Despite his performance, he was eligible for the Rule-5 Draft and no team selected him. This year, Reyes moved to Triple-A, where he is presently the hottest hitter in the Minors. Over the last 8 games, he is 20 for 30 with 4 doubles and 8 home runs, raising his season line to .353/.435/.748 and 13 home runs. Meanwhile, at just 22 years old, he is one of the youngest players in Triple-A Pacific Coast League. On the downside, and the reason most overlook Reyes, he is a poor fielder and below-average athlete. However, his plus power, improving hit tool, and eye-popping performance at the highest level in the Minors elevate him into the Top 200. In March, I was on the fence about his fantasy game power (40/45). After two months of reflection, including a month of performance, I am no longer buying 45 fantasy game power (15-20 HR) as he has displayed very little power thus far, hits tons of grounders, has a 5-6% HR/FB rate, and more recent reports from FG and others give him max 45 game power. He is still an excellent real-life prospect due to superb range and defense in CF, an above-average future hit tool, and plus speed. I am not as enamored with such a prospect in fantasy. Part of the reason for this updated ranking is to correct some slight missteps with the March ranking. Taveras was one of several. I do not anticipate nearly as much movement in the June update. Finally, please note tiers at 1-16, 17-48, 49-96, 97-144, 145-192, and 193-200. This last tier actually includes tons of players, and I just choose my favorite 8. Thoughts on Mason Martin of the Pirates? Didn’t make the 200, or even the considerations list, but I am kind of excited about this kid. Mason Martin is still quite far from cracking the Top 200. Although he had a strong April (.262/.361/.476) in Low-A, it came with 30 strikeouts in just 24 games. He is also a below-average athlete with very little projection, standing at a listed 6’0″ and 201 pounds. Limited to first base, he has been pretty atrocious defensively thus far, though some can be forgiven as he is just 18 years old in Low-A. Meanwhile, in May, Martin has struggled, with just 2 hits in his last 29 at-bats. As a first base prospect with even less defensive projection than others due to his height, his bat will need to carry him, and a 33.3% strikeout rate and 15.9% swinging strikes will not cut it. Of course, he is one of the youngest players in the South Atlantic League so we can provide him some slack. However, he is far away with high risk and limited upside. 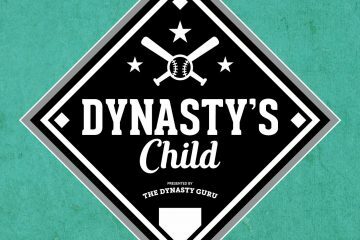 The Dynasty Guru's Triple Play- Pittsburgh Pirates!